We are seeking to recruit a pool of researchers to assist the research team undertaking a study titled “Leveraging Parasport Events for Sustainable Community Participation” the Sessional Interviewer are required during the Glasgow 2014 Commonwealth Games, from 27th July to 3rd August to undertake survey work focused on spectators attending Para-sport events during the Glasgow 2014 Games. Ideally, applicants should have experience of working with members of the public in a research capacity. Awareness of the issues facing people with a disability in accessing opportunities to participate in sport would be desirable. Informal enquiries to Professor Gayle McPherson on 0141 848 3233 or by email to gayle.mcpherson@uws.ac.uk. Posted in Miscellaneous and tagged Commonwealth Games, Cultural & Creative Industries, Job Shop, Sessional Interviewer. Bookmark the permalink. Are You Involved in Glasgow 2014 Commonwealth Games? UWS has given its support to Glasgow 2014 Commonwealth Games through staff secondment, research activity and students/staff undertaking pre-games volunteer roles. The University is keen to capture the full extent of individual involvement and celebrate the contribution of UWS staff and students to what is going to be a memorable event in Glasgow’s history. 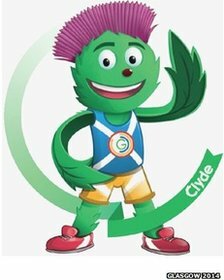 If you have been involved already or have been selected to play a part in Glasgow 2014 please complete this very short survey (six questions) created by the Careers & Employability Service to help us gather this information. Posted in Miscellaneous and tagged Commonwealth Games, Glasgow 2014, survey, Volunteer. Bookmark the permalink. BBC Learning will be rolling up at BBC Pacific Quay in Glasgow for five days from Saturday 26th July to Wednesday 30th July. Over the five days learning will deliver inspirational content for young people and families, focused around one of Learning’s key priorities – digital creativity. The activities will draw on content created earlier in the year for the Big Bang Fair in Birmingham. There will also be additional material created in conjunction with BBC1’s Waterloo Road based around numeracy and health. The idea is to offer interactive, fun taster sessions based on one of the Sherlock Holme’s games as well as partner introductory coding activities. Looking for volunteers to help out on any of the above days. You don’t need to be an expert in technology or online stuff as we will have people available to cover this, but are looking for people who are outgoing and confident talking to the public and families. If you would like to volunteer please email Catherine Garvie – catherine.garvie@bbc.co.uk with your preferred day/s where you live and a contact telephone number. Posted in Volunteering and tagged BBC, Commonwealth Games, Digital, Volunteer. Bookmark the permalink. On July 23 the Opening Ceremony of the Glasgow 2014 Commonwealth Games will officially launch Glasgow and Scotland’s biggest-ever festival of sport and culture. At the heart of the Opening and Closing Ceremonies will be the 3000 people who will make up the cast which will be performing on these unforgettable occasions – and you could be one of them. It’ll be a once in a lifetime opportunity to get involved in one of Glasgow’s biggest ever parties. We are very keen for colleges and universities sports groups, student associations and any individuals to take part in this exciting opportunity. Brand new auditions will take place at the end of April, and we are particularly interested in male volunteers, and people under 45. If you missed out on the first lot of auditions back in March, this is your last chance to get involved. The group auditions are energetic, fun and all you need is bags of enthusiasm, and a bit of commitment to attend rehearsals. Financial support to assist with costs is available on an application basis to successful cast members and will be targeted to assist participation in the ceremonies by those facing challenges meeting costs including independent living support, carer costs, childcare, travel to Glasgow and ensure that they can complete their experience. The funding will be independently administered by Volunteer Scotland and Voluntary Arts Scotland which has developed detailed application criteria. For further information please contact info@volunteersupportpot.org.uk. You don’t need to have previous experience as we will teach you all you need to know.. Bring your personality, commitment and maybe even a friend along to one of our group auditions and start the experience of a lifetime. Apply by 18 April here. Posted in Miscellaneous and tagged Commonwealth Games, Glasgow 2014 Commonwealth Games, Open Ceremony, Opening and Closing Ceremonies, Opening Ceremony, volunteering. Bookmark the permalink.